"Doing Latin America, Mostly by Luck"
Pescatorial smoocher! A Red-Lipped Batfish Photographed Near Cocos Island, Costa Rica. No Dorothy, This is Not a Crab - It's a Fish; Pucker-up Baby! The end of July saw a legal holiday in Guanacaste province; it's official name is Anexión del Partido de Nicoya. It celebrates the annexation of the province by Costa Rica in 1823. 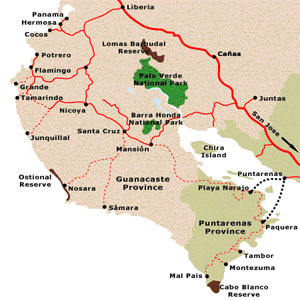 The province of Guanacaste is shown on the northwest corner of the map to the left. A large and varied number of painters and sculptors as well as musicians and other performing artists showed up for the celebration. (To see a complete list of Costa Rican holidays, go here: HOLIDAYS). I have been told by a couple of natives that the subject of Guanacaste province is an irritant between our Nicaraguan friends to the north and we Ticos (our hero assumed that identity quickly, didn't he - actually, technically, I'm a Gringo-Tico). It seems the Nicas over the years have claimed that Guanacaste really belongs to them and it apparently is true that the area was and continues to be home to many people of Nicaraguan descent. But history tells us that the leaders of the independent area at the time of annexation chose voluntarily to become a part of Costa Rica rather than Nicaragua. Done deal, Nicas. Don't get any cute ideas like you had with the Isla Calero aggression (see INVASION). There's much more to fight for in Guanacaste than that empty spit of land you carved out of Costa Rica last year, Nica amigos. 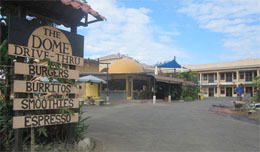 The weather in Guanacaste is usually hotter and drier than the jungles to the south. The topography is more gentle, with a good deal of rolling hills and grassy plains, than the mountainous regions to the east and south. This type of land lends itself more to cattle raising than growing coffee, which is what the major commerce here was in the past. 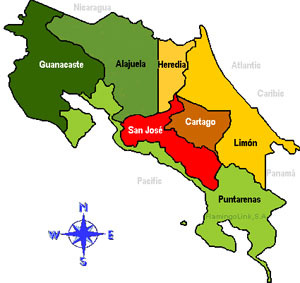 The population of Guanacaste Province is low compared to the central valley (San José and Alejuela), but then isn't that true of all the other provinces here also? (Limon?) The total population in Guanacaste numbers a little more that 260,000 which puts it about the same population density as Vermont and Minnesota (not very high). In addition to beef cattle (heat and insect resistant Brahman are the favorite breed), the other important products here are sugar cane, cotton and rice. But the most important industry is rapidly becoming tourism; Norteamericano ex-patriots as the Nicoya Peninsula has many Pacific beaches not too far from the newly expanded international airport at Liberia. GG must fess up here and admit that I've not yet been to Guanacaste except for traveling through Liberia by bus on the way to Granada, Nicaragua on a previous visa update trek. It's on my target list for exploring Costa Rica, however, and when I do go I'm bringing my slingshot in case the Nicas get restless. No, I'm not talking about a civil rights rally on the Mall in D.C., but instead this story is about an annual pilgrimage to a church in Cartago, Costa Rica. A Carved Replica of - "La Negrita"
This year, on August 2, the Costa Rican populace celebrated the 376th anniversary of the finding of a small rock with a black image on it that is venerated as a representation of the Blessed Virgin. 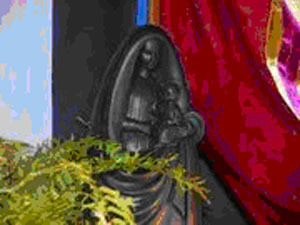 The small rock and image, first found in 1635, and which is of the Virgin with Child (see replica left), is also called "La Negrita". The icon is housed in the Basilica de Nuestros Señora de Los Angeles (picture of the basilica is also to the left). The pilgrimage to Cartago is quite a stunning devotion of the faithful. Pilgrims walk to the shrine and, while that may be only 12 miles or so from San José, it can be as much as 100 miles from southern border towns on the two coasts. Yet, more than one million people will make this pilgrimage over a several day period (that's more than one-fifth of the total population of Costa Rica). So what causes a million people to walk up to 100 miles to venerate an icon? "A mestizo (mixed European and Indian heritage) woman was looking for firewood when she came across a small stone image standing on a large stone, according to the legend. Upon a closer look, she saw that the image was of the Virgin Mary with Baby Jesus in her arms. Excited by her find, the woman took the image home and put it in a basket. The next day when she went out to collect firewood again, she found a carved image of a snake on the same stone in the same place. She brought this image home too. When she opened the basket, she found that the image of the Virgin Mary was missing. She locked the remaining image up so that no one could take it. The next day she went out again, and found the image of the Virgin Mary on the same stone again. She took it home, and found the other image missing. This time she was scared, and took the image to the priest and told him the story. 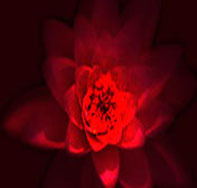 The priest took the image, and when he went to examine it the next day, it had disappeared. He went to the forest, and found it on the same stone. He took it back to the Church, and put it with the image of Jesus on the cross. The following day, when he went to give communion at Mass, the image had disappeared. He found her in the woods on the stone. Legend says she wanted a Church built in that spot, around her 'throne', in order to unite the Costa Rican population. 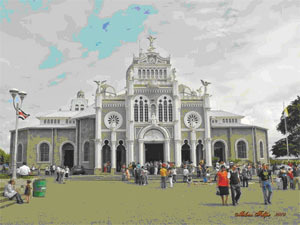 The Basilica was built on the site where La Negrita was found. Inside the Basilica is a shrine to La Negrita, where she stands on an altar. The Costa Rican government declared La Negrita the Patron Saint of Costa Rica on September 23, 1824." And that's how La Negrita became the patroness or protector of Costa Rica. So, combine a mysterious carving or stone image with a perceived miracle along with the power of a patron saint and it becomes something that motivates over 20% of Costa Rica's population to make a pilgrimage each year. y para usted, Dios te bendiga, amigo. And here's another Costa Rican legend, this one with a native and, I think, spiritual touch. "One day a warrior came across the mountain in search of Turi Uha, an Indian girl who was known as the flower of the valleys. This warrior had a forehead "as high as a mountain". 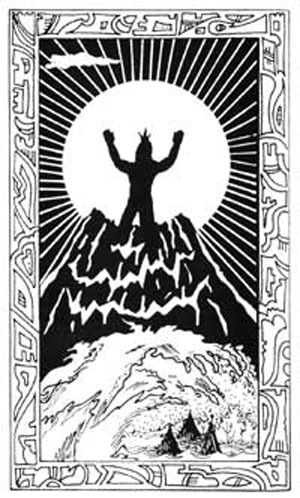 Turi Uha and the warrior fell in love but they decided to flee to other lands as their two tribes were sworn enemies who had many wars with each other over the years and who would not permit the union between Turi Uha and the warrior. The couple gathered a few friends and set out to found another tribe. When Turi Uha's father learned of their intention, he became very angry (tranquilo amigo, l'amour toujours, l'amour dad) and went with warriors in search of the fugitives. The sound of the warriors' steps and the click of broken branches they ran upon, echoed all over the mountain. The young warrior was killed by his pursuers and fell dead. According to the belief of his people, his soul rose to the top of the mountain where the dead inhabit in the dwelling of the God 'Sibu'. The princess and her friends continued fleeing through the forest. Turi Uha, in her grief at the death of her warrior lover, wanted to reach the area at the top of the hill where her lover's soul inhabited. And as they continued to flee, a marvelous thing happened to the fugitives; their bodies began to shrink, they became more and more agile and their skin transformed into silky wings. They became mariposas (butterflies) and flew into the sky." 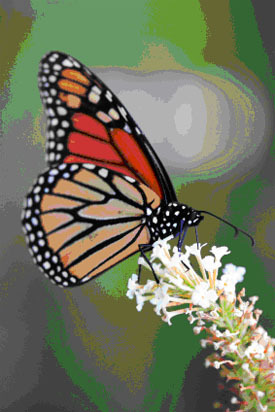 So, I guess that this might be one reason why we have so many butterflies in Costa Rica today. I love the legend; the story is kind of a Hatfield and McCoy thing, Costa Rican style, with a little spirituality thrown in. And here is yet another Costa Rican legend. There is an incredibly beautiful emerald floating in the Pacific Ocean only 550km (340 miles) west-southwest of Quepos (take a lunch), There you will come to an uninhabited island (actually a small set of islands with one big one) called Isla de Coco or the Cocos Islands. 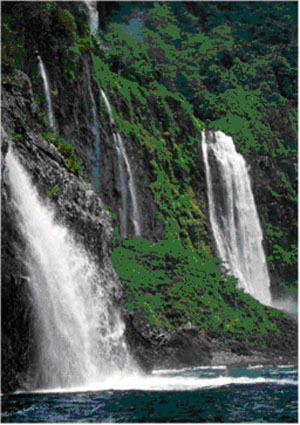 It also happens to be a protected Costa Rican National Park accessible only by boat and then, only if you have a permit. Why the island was given its name should be obvious to the most casual observer. Coconut palms abound on the island and one ship captain reported gathering over 2,000 coconuts there on one visit. Dude, that's a lot of pipas (coconut water - $5.99/half pint at Whole Foods - a whole coconut's worth available in Quepos or Manuel Antonio at the beach for $2). 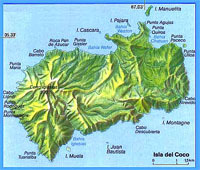 When thinking of Cocos Island, what comes to mind immediately is the fictitious island off Costa Rica portrayed in Jurassic Park which was called in the film Isla Nublar. 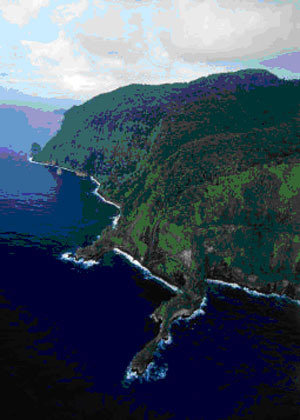 Although the film was actually shot in Maui, Hawaii, Jurrasic Park author Michael Crichton said he wrote it with Isla de Coco in mind. 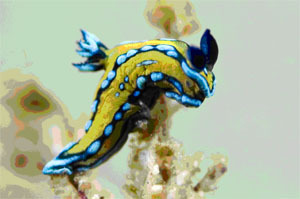 And Jacques Cousteau filmed several episodes of his 1966-1976 program, "The Underwater World of Jacques Cousteau" here. He described the Island as "the most beautiful island in the world..." Who's to disagree? Rich green landscapes of tropical vegetation, sheer cliffs as high as 300 feet, towering waterfalls, several pristine beaches and prolific sea life make this place truly unique. The main island is less than 50 square kilometers in area (if it was a circle it would be less than 6 miles across). The only points of access, and only by boat, are Chatham Bay and Wafer Bay on the north side of the island (see map above left). If you go by private boat you still need a permit to land, so be sure to first check out the procedure to get one. Have You Ever Seen a More Beautiful Beach? The literature tells us the island was probably discovered in the early 1500's but no-one knows for sure. The first mention of it was in a navigator's guide in 1541. 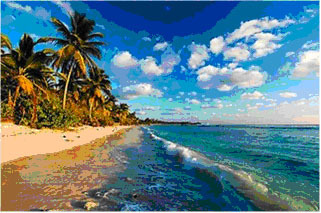 Thereafter, it became a haven for pirates, whalers and military expeditions. Remember, in those days there was no canal linking the two oceans, so caribbean pirates would have had to go all the way around Cape Horn, or carry their boats across the jungle, which some did. Places like Cocos generate myths and legends and the predominate story about this Island is that there is a vast treasure there buried by pirates. No one has ever found it and the first governor (August Gissler), appointed by Costa Rica in 1789 shortly after the island's annexation by the San José government, spent 18 years looking for it to no avail. Triste, amigo, er, Herr Gissler (the dude was a German). Or Is It Billy Thompson? 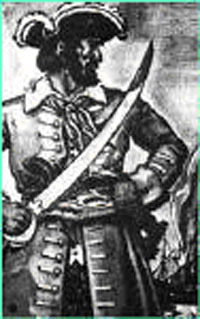 The reason for believing in the treasure's existence is because there was a revolution against the Spanish in Lima, Peru in 1820 and the Spaniards, worried about there booty, commissioned a certain captain William Thompson and his ship, the Mary Dear, to carry away their treasure, which had been painstakingly gathered by priests for more than two centuries. Billy and his ship reportedly headed right for Isla de Coco. Now the problem was that Billy Thompson was not the most trustworthy of captains. He and his crew decided to go pirate and absconded with the treasure. Understandably. the Spaniards were a little piqued at this and sent a naval force after them capturing the Mary Dear and returning Thompson and his crew for trial. Thompson and his first mate (James Alexander Forbes) traded their survival for a promise to take their captors to the treasure; all the rest of the crew were hanged (it's good to be captain, eh what?). 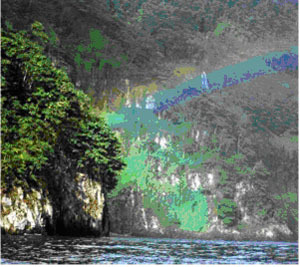 On returning to Cocos, Thompson and Forbes escaped their captors and fled into the jungle. Billy and Alex and the treasure were never seen again. Because the two principals both escaped before the location of the treasure was identified, it was never really proven that it was actually buried in Cocos or whether it was somehow removed to, or even originally buried on, another island. Yet the legend persisted over the years and it still attracts treasure hunters almost two centuries later. Modern estimates place the current value of the treasure in excess of $100 million. It included a lot of jewels and precious artifacts and, reportedly, even a few life-size solid gold statues of saints. 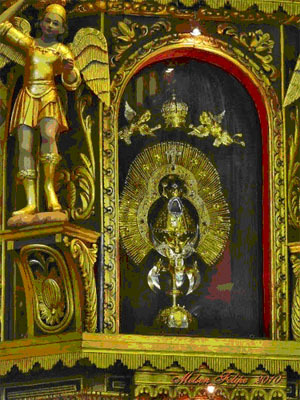 Most of this treasure was collected and hoarded by Catholic missionaries who had been operating in Latin America for more than 200 years by the time Billy Thompson came onto the scene. The bad news for most of us is that getting to Cocos is not cheap. Boat tours and excursions start at $3,000 per person for a 7-8 day outing. But leave your shovel at home amigos as they won't let you dig for treasure on that beautiful island (nevertheless, I bet the government of Costa Rica still has someone out there looking for it). Ay, matie, it's got ta be there laddie! "Light travels faster than sound. This is why some people appear bright until you hear them speak." PARAPROSDOSKIAN: Figure of speech in which the latter part of a sentence or phrase is surprising or unexpected; frequently used in a humorous situation. "Where there's a will, I want to be in it." is a type of paraprosdokian. As long as I've been coming to Costa Rica, including the last three years that GG has lived here, the word for coconut water has been "pipas" (pee-pahs). So you'll understand my surprise when I couldn't find a definition related to a coconut for this word. I checked two online translators and my hard copy Oceano dictionary to no avail. The only thing I could find for an English equivalent was "pipes". Now, I already knew that pipas = pipes (of both fluid carrying and smoking types) but, like a lot of other words in Spanish, I expected also to find the Coconut Connection (sounds like it would have made a good movie starring Humphrey Bogart and Lauren Bacall or maybe Montgomery Clift and Liz Taylor) as well as one or two other interesting meanings. No way, José, just "pipes". So how did the word "pipas" come into common use? Not sure! Even my Spanish teacher didn't have an explanation (and he's a Spanish word merchant, believe me). He did point out that the word pipa actually applies to the coconut in its entirety and that the juice is properly called "agua de pipa". Works for me, amigo; I'm willing to let spleeping iguanas lie. During my research of coconut water, I uncovered an interesting fact. Coconut water was used during WWII and the Vietnam War as a intravenous solution when IVs were running short. Because the electrolyte levels of Coconut Water are so similar to human blood, it was safe for doctors to insert directly into the blood stream for dehydrated soldiers. No wonder today's health gurus think it's a good thing. Early politicians, like their modern counterparts, required feedback from the public to determine what the people considered important. Reviewing ROMEOS: Mike L., Bob N.
There are good fast food restaurants that keep you nourished when you're on the go, upscale restaurants that heal the soul and flatter the mind (when you can afford them) and there are the the good old stand-bys, the ones where you know you can always find an ample portion of good quality food at a reasonable price. The Dome in Uvita falls into the last category. The owner of this place is a congenial fellow named Bill who is of Jamaican descent (he's quite anglicized now but still has a touch of that delightful Caribbean twist in his speech, 'Tuanis, mon'). The food here also benefits from that gentle caribbean influence. The dining room is compact and holds about a half dozen tables of four seats each. Simple round tables and comfortable seating . The place is very clean, from table to kitchen. Even on a hot day at lunch, the breezes coming down from the mountains keep a comfortable temperature. There is also a small counter where you can eat Pennsylvania-diner style. The room is open to the atmosphere like many Costa Rican restaurants but well protected from the sun by the dome and an ample roof overhang. The service is friendly and courteous and occurs at somewhat typically Tico speed (caringly slow). I did notice on the last visit that our waitress slipped into the kitchen when ever she could to help the cook get things together (Tico teamwork, amigos - and no union lines to worry about crossing). Price wise, The Dome is on the low side of fair. You can get a good meal there for 5-6,000 colones. We give The Dome four sloths for ambiance, service and food quality and a modest three dollars for a price rating. That's value in these here parts, amigo. When I started the Founder's Quote section I didn't realize there would be so many quotes from Thomas Jefferson. The man had such an intellectual depth, prolific mind and writing genius that he exercised great influence on the people and the concepts that gave birth to the United States of America. His quotes appear everywhere in the historical records of his period and he has been, most probably, the most quoted political figure in our history. John F. Kennedy once held a dinner in the white House for a group of the brightest minds in the nation at that time. Kennedy made this statement: "This is perhaps the assembly of the most intelligence ever to gather at one time in the White House with the exception of when Thomas Jefferson dined alone." At 31, wrote the widely circulated "Summary View of the Rights of British America " and retired from his law practice. The very day he died, the 50th anniversary of his writing the Declaration of Independence, his friend John Adams also died in Massachusetts. If you ever get a chance to see the play "1776", don't miss it; it's about the Continental Congress in Philadelphia leading up to the Declaration of Independence and well portrays the debate and difficulty the founders had as they crafted this historic document. "I wish it were possible to obtain a single amendment to our Constitution ... taking from the federal government their power of borrowing." "I believe that banking institutions are more dangerous to our liberties than standing armies. If the American people ever allow private banks to control the issue of their currency, first by inflation, then by deflation, the banks and corporations that will grow up around the banks will deprive the people of all property - until their children wake-up homeless on the continent their fathers conquered." What was that about the founding dudes being out of date?